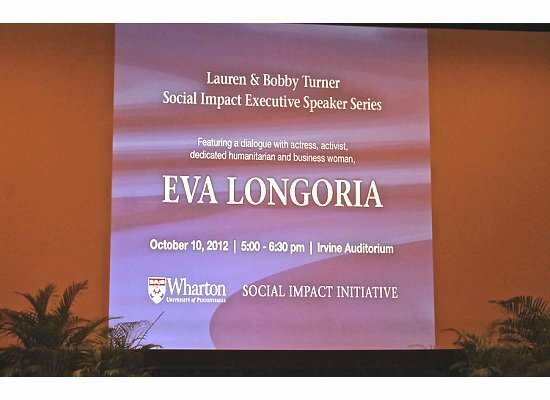 On Wednesday, October 10th, the Lauren and Bobby Turner Social Impact Executive Speaker Series hosted Evan Longoria. In years past, Bobby Turner (a Wharton alum) has hosted basketball star Magic Johnson, tennis player Andre Agassi, and rapper Ludacris. But, that night in Irvine Auditorium, Turner sat down with the 37 year old Texas native to talk about her experience growing up, her transition into fame, and her various philanthropic endeavors. Contrary to what you might think, Eva felt like an ugly duckling during her childhood. The youngest of four sisters, she described feeling like the odd one out, and decided that in order to make up for her shortcomings that she would be “really smart and really funny.” She defined herself as the American Dream because she essentially started from nothing, worked super hard, and became the successful businesswoman she is today. She spoke passionately about her dedication to the Latino community and proudly spoke about her support for President Obama’s re-election campaign. When asked if she ever thought her personal views would alienate her fan base, she respectfully stated that her dedication to philanthropy and politics is more important than any upcoming movie. 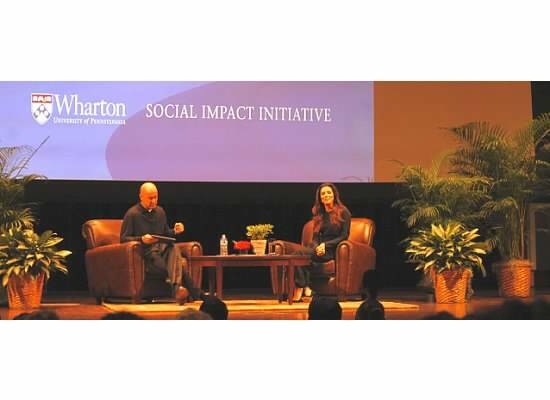 After her talk with Bobby Turner, Eva answered a few questions from the audience during a Q-A session, in which many Penn student graciously thanked Eva for taking the time out to come to campus but also inquiring about work-life balance, body image and self-confidence, among other intriguing topics. 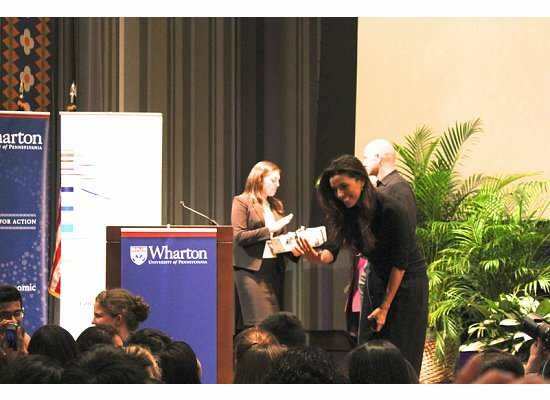 This entry was posted in Campus Resources, Rolanda, The Fish Tank and tagged activities, Eva Longoria, events, lectures, UPenn, wharton. Bookmark the permalink.